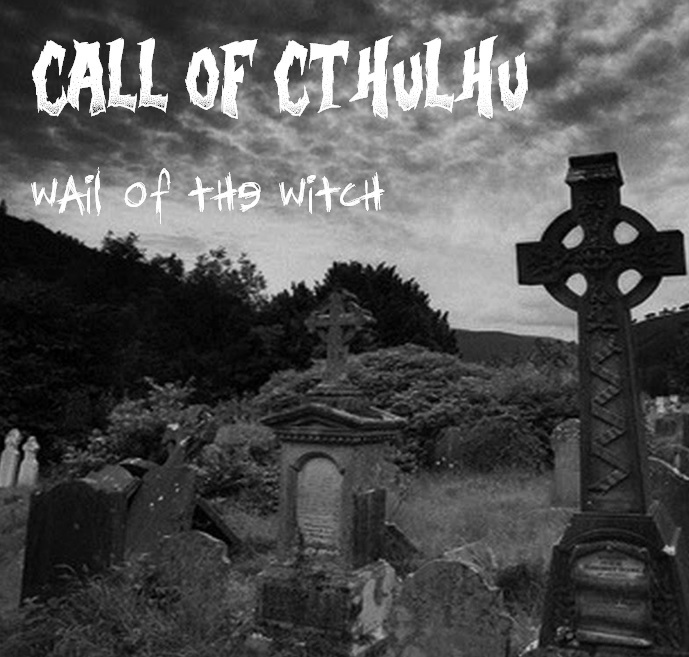 We started our show in February 2015 with a Call of Cthulhu 7th Edition Scenario called The Haunting, due to it's popularity with both the players and the fans we continued the story with another scenario called Wail of the Witch. The Call of Cthulhu Campaign continued for more than 18 months and a spanned a number of Scenarios linked together with a continuing story, timeline and characters. We were also lucky enough to have some amazing guests join us for a number of stand alone One Shots. These include The Good Friends of Jackson Elias, Mike Mason, Brockett Vola and Kyle Ferguson. 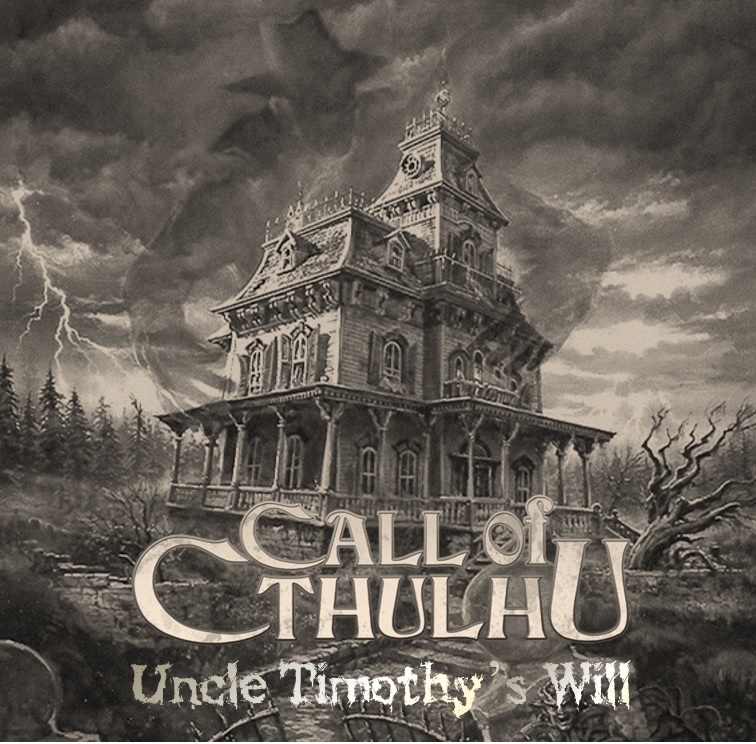 If Call of Cthulhu is you thing, you can find details and links below. Remember you can also find all of our episodes on iTunes and almost everywhere else that you can download podcasts! Following in the grand tradition of Cthulhu players across the world, we started with this fantastic scenario. The group gathered together at the residence of one Duncan Smith to solve a problem regarding a property he had purchased..It was haunted! These were our first set of recordings so the sound quality is okay, although we later came back and cleaned up the audio as best we could, the quality is not as good as in later episodes. One evening, while drinking alone in in office, there was a knock at his door...There, looking down on him was a beautiful broad by the name of Rita Carson. Her room mate, an occult journalist, had died of a heart attack while investigating the Fairfax cemetery, the police said natural causes, but Rita thought differently... Could Spencer help? These were only our second set of recordings so the sound quality, although fine, isn't as good as in our later episodes. After becoming increasingly obsessed with his new wife's family history, particularly why her mother and grandmother died while giving birth, Harold Mudd learned that they may have originally come from a small seaport known as Innsmouth. Three weeks later they still hadn't returned and Spencer, Omund and their new friend Mick Tobin set off to Innsmouth to find them. We tried something different this scenario. The players were split into two teams, each working three weeks apart. These were only our third set of recordings so the sound quality, although fine, isn't as good as in our later episodes. With The fishy town of Innsmouth behind them, the characters have spent the last few months trying to get back to normality. However, as a terrible storm lurks on the horizon, Dr Mick Tobin and Spencer Randell are called to collect an old friend from incarceration at the Roxbury sanitarium. Who are the black suited figures following the party? What is the importance of the strange and deadly black meteorite that Harold found in the cellar under the Babson Mansion? And lastly, who is the Dark man, who has been haunting their dreams? We had some equipment upgrades, so from this scenario the sound starts to improve. During the winter of 1924 officials of the Federal government made a strange and secret investigation of certain conditions in the ancient Massachusetts seaport of Innsmouth. Many wondered at the prodigious number of arrests, the abnormally large force of men used in making them, and the secrecy surrounding the disposal of the prisoners. No trials, or even definite charges were reported; nor were any of the captives seen thereafter in the regular gaols of the nation. We initially tried running this "mega scenario" as it is presented in the book, and although we had a great time, the sheer amount of combat and player controlled NPCs made it a confusing podcast...Plus we lost one of the Audacity recordings. What we have here for you is a homebrewed story that happens at the same time as the written scenario. For those of you that know the original well, you'll recognise scenes but the story is mostly our own! The investigators are hired to determine the whereabouts of a famous and wealthy archaeologist, Arthur Cornthwaite. No one has heard from him in two weeks and his lawyers have sent the investigators to the Fitzgerald Manse in rural Massachusetts to discover where Cornthwaite has been (and if he's still among the living). The Fitzgerald Manse has had a long and troubled history including murder and suicide, and many nearby residents consider it to be ominous or even haunted. 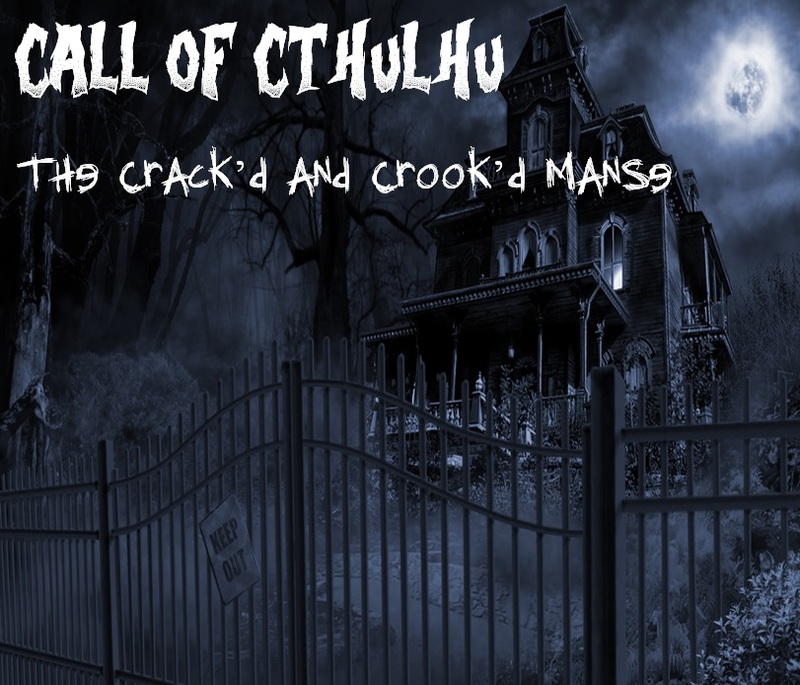 Once again we return to The Mansions of Madness Call of Cthulhu supplement for another amazing scenario. Spenser and Finn are requested by the head of the newly formed Delta Green to check on their old friend and fellow Mythos Investigator Bartholomew Omund, who had booked himself into a psychiatric institution for the rich and powerful, run by noted alienist, Dr Brewer. The institution was located on a remote island of the coast of New England. On the jetty, the two investigators met up with Johnny Huck, an occult journalist and "Oz" a student of psychiatry. As a DM/Keeper this is by far the most ambitious story I had ever attempted - with a ton of NPCs, a complicated plot and a live audience. We had a spare evening so decided to record a mostly improvised scenario on our Twitch Stream; as usual hilarity insued. When a letter from an old family friend arrives, how could the investigators know what they'd be in for...a long buried secret, forbidden magics and an indescribable foe, make this classic beginner scenario a must play for every Call of Cthulhu group! A motley cast are summoned to the remote house of Uncle Timothy for the reading of his will, and find themselves spending several days there. As a thunderstorm rages outside, they soon learn that they have far worse problems than political disagreements and incompatible temperaments. A Call of Cthulhu 7e Scenario.